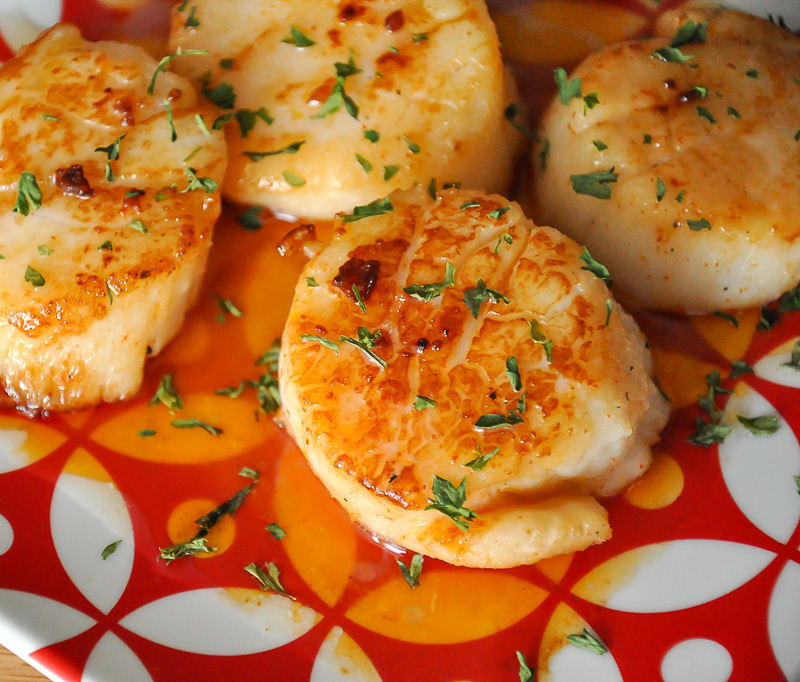 Sriracha Seared Scallops Recipe and tips for deglazing with Sriracha chili sauce! 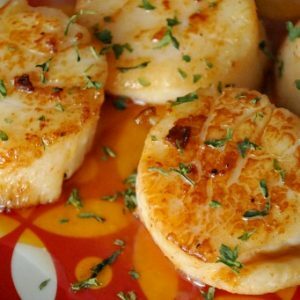 These quick and easy scallops are finished off with a spicy and super flavorful homemade Sriracha pan sauce. Oh man…. I can’t begin to explain how excited I get when a random kitchen experiment turns out this well. I feel like a rocket scientist whenever it happens. Well technically speaking, I am a scientist, but my days of rocking a lab coat and goggles are behind me. I still have them though. You never know when they’re gonna come in handy! Last month Paul taught me how to deglaze a pan of seafood like a rockstar, so the second jumbo sea scallops went on sale I pounced! I had originally intended on recreating the delish Sapporo Scallop + Kani Salad recipe we had come up with a few weeks prior, but my laziness resulted in an entirely new recipe altogether. Um yes you totally heard that right. Sometimes it’s good to be lazy! Serving a crowd? This recipe is crazy easy to double, triple, or quadruple to feed your crew! Use a larger pan, or work in batches, as to not crowd the scallops. This way you get a delicious sear on each one! YUM! Pat scallops dry, season with a teeny bit of salt, pepper, and cayenne and set aside. Heat a stainless steel pan with a few tablespoons of oil and allow it to get HOT before adding your scallops. If you're cooking more than just a few at a time, grab a larger pan and more oil, so you can space them out and give them room to sizzle! Once your pan is hot and ready, add the scallops and sear for about 2-3 minutes on each side until golden and opaque in the middle. Overcooking will be your worst enemy here so keep an eye on them -- the second side will most likely cook a teeny bit faster than the first so check it after a minute. If your scallops are huge like mine were you might have to tack on an extra minute on each side. There should be a spoonful of oil left in your pan, if not, then add 1/2 teaspoon or so. Next deglaze the pan with a splash of white wine [I had a yummy chardonnay on hand] and a generous dollop of sriracha and whisk the orange bubbly amazingness until all the little golden bits of scallop have released from your pan. Remove from heat, pour over scallops, and sprinkle with a little dried parsley for a pop of green. This spicy Sriracha glaze is favorite pan sauce ever! I’m not usually a fan of pan sauces because they involve copious amounts of butter or cream and wind up tasting far too rich for my delicate seafood… this was definitely not the case. The sauce was light with a feisty kick, and let the flavor of the scallops shine through. That’s all I could ever ask for in a sauce — it needs to play nice with my food or get the heck off the plate. These Sriracha Seared Scallops were delicious and I can’t wait for the next sea scallop sale at the market so I can make them again! Enjoyed this recipe. I love hot but even using srirach, this had a kick but with the wine it wasn’t too hot. I will definitely do this again and pass it on to friends! Thank you Karen! I’m glad you enjoyed the recipe — it’s one of our favorites for sure! THIS IS AMAZZZZINNG. Caps needed! Ohmygosh how did I get so behind on emails!? Terribly sorry about the delay! Thanks so so much for your sweet comment and for testing out the recipe!!! I’m beyond thrilled that you like it! Off to check out your blog and post! =) Thanks Weiya!!!! I found your blog earlier this year and totally fell in love with all your food posts! I finally got to make this sriracha scallop yesterday and it turned out A-M-A-Z-I-N-G! That sauce was oh so good o.O Thanks so much for sharing it! Just made this tonight! I’ve been craving ng thus since you’ve posted and I totally lived it! Thanks so much for sharing this! Will be sharing it on my blog this week!! Wanted to let you know I made these for VD dinner. They were great. Simple. Spicy. Just great. holy scallops! I love scallops. That is all! Thanks Amy!!!! <3 Hope you’re having a great week! xoxo Happy belated vday! I just added Scallops to my grocery list for this week. They look so good!! Pinned this to my recipes list. I am on a huge Sriracha kick and I loooove scallops!!! omg! this has my mouth watering right now! This looks sooooooooooooooooooooooooo good! Thanks for sharing! Pinned it! I love sriracha! I have never seen it used like this but love the idea! Congrats on the Top 9 and happy Valentine’s Day :)! Props for the deglaze – well done. Your photos are gorgeous! Ahh this sounds great, especially because I have a few sriracha lovers in my life!! yay!!!! Hope you love it! <3 Happy Valentine’s Day Lindsey! My fiance and I actually have scallops on the menu tnoight and were trying to decide how to cook them. I think you answered our question for us. Thank you! Love sriracha and scallops. Yum! Congratulations on making the top 9! I am so glad that I found your blog. Fast and flavorful, Scallops, Sriracha and Wine… what more could you ask for? I am absolutely pinning this to make! I made a Thai soup last night with scallops, and had forgotten how much I enjoy them. My 8 yo even liked them too, which was a bonus 🙂 Love this easy recipe, and with spicy Siracha how could they not just be absolutely delicious! Oh wow, this looks AMAZING!!! I’ve added it to my list because I have got to try this! Scallops and Sriracha…in love!!! Thanks for visiting our blog and following! We are absolutely following you back. So glad you found us! Beautiful scallops, and I love the sauce. I’m jealous! We tried scallops wrapped in bacon, but couldn’t get them to sear, even though we tried to dry them. Gorgeous scallops!!! Congrats on the Top 9!!!! omg girl! get your bootay on amazon or some similar site and order it to your doorstep! now! =) it’s life changing!!! Love the Rooster sauce ! I love scallops! Thanks so much for the recipe! Yum! Your salad had me drooling and now this does too. When I get past my post-food-poisoning “eww, seafood” feeling I will SO be trying this!! I’ve been using grapeseed oil lately too. Love its high heat tolerance. 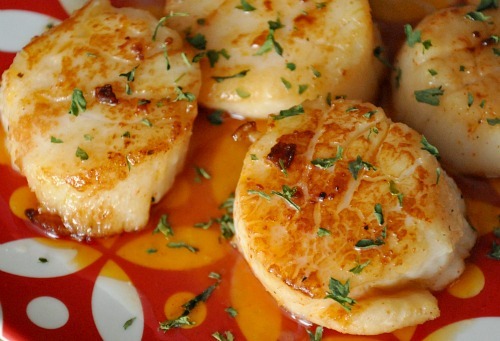 I put Sriracha on just about everything, and I love scallops…so you’re making my mouth water! And thanks for the whoopie pie love on my blog! Happy almost valentines day Betty! mwah! oooh. i’m gonna have to make these soon, too! they look amazing! i wish my market would put scallops on sale! Oh wow sounds amazing & spicy! Love sriracha! I never thought of using it in a wine reduction but I definitely will now. YUM! There are not many animal dishes that I find appetizing or appealing since being vegan. Your scallops however, made me want some. I will have to try a vegan scallop recipe soon. I am craving! Sounds amazing! Thanks for sharing it. I have yet to find this magic sriracha…I will prevail and one day make something as delicious looking as this. ahmazing!!! This just looks so good! I’ve never thought of using Sriracha as a pan sauce before. Great idea, it must have tasted great with the scallops. Oh yeah. I could definitely enjoy this one. It looks delicious! You are a rock star. That is all! Did you see the second scallop recipe too? They both rock my world I can’t pick a fav! And hooray for our dc shenanigans!!!! Can’t wait! Oh. My. This looks like a dish sent from heaven!! Scallops are near and dear to my heart, and I’ve been having a major fling…MAJOR fling with sriracha lately. 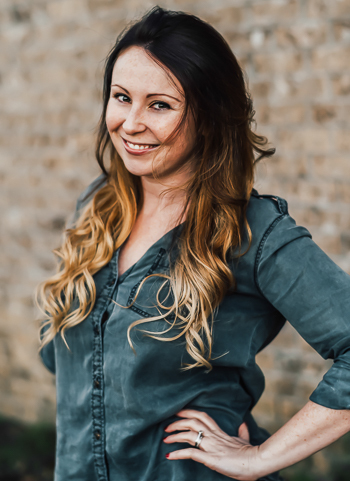 Never would I ever have thought to combine the two though…You’re brilliant, Jenn! This is so happening this week. holy yum. sharing this with my hubby right now! he’s a sriracha fiend! My husband loves that stuff! He will put it on anything, I need to try this for him! Looks and sounds so great! You had me at Sriracha. This sounds amazing!!!!!! i have to try this!!!! Looks yum! I think I’m going to make a soup with scallops next weekend. A little nervous bc I’ve never made anything like that before. Anyway-We normally eat most seafood like this spicy. Matt is in the “sriracha belongs on everything” club. bahahahahaha can I print and frame this? kick up your feet and relax dahhhhling! <3 you earned it! I will….starting the day after Valentines! …in the meantime, I’m jet lagged like mad and going through 1200 photos! You had my heart with “sriracha”! I’m definitely going to have to try this recipe. Oh, it was FANTASTIC! I was in London visiting my daughter and we took a girls trip to Paris! Tons-o-fun! Hey Ann! Thanks!! =) All is well and CAH-RAZY over here! hehe — How was your trip/weekend? Looks delish! I love deglazed pan sauces – easy and elegant, not to mention delicious! Stunning photo! I’ve been out of town, so I’ve not commented in a while…..I hope you are well! Oh, this sounds delicious! Beautiful photo as always! Thanks for sharing! I was planning scallops for tomorrow, was thinking some sort of white wine sauce! This looks amazing!!!! great pics!